Preheat the oven to 400° F. Line a baking sheet with aluminum foil. Melt the honey and margarine or butter in a small bowl in the microwave or on the stovetop. 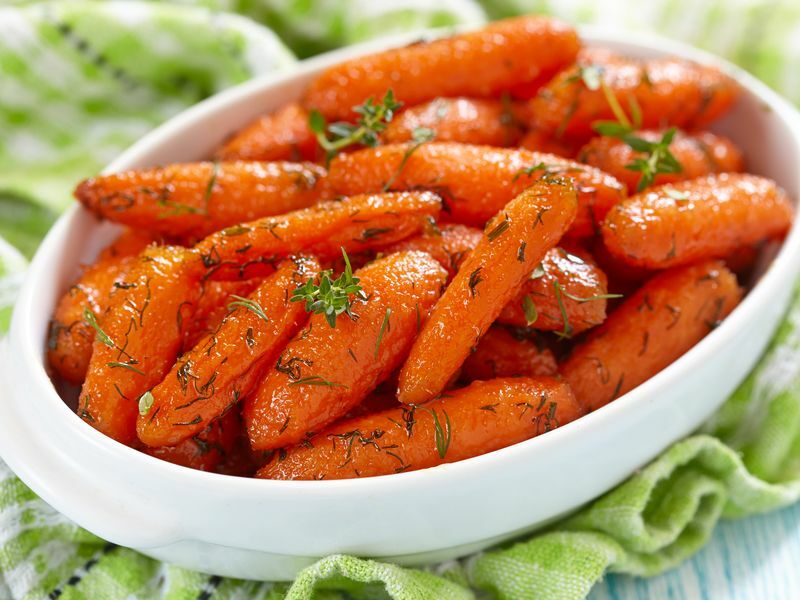 In a medium bowl, toss the baby carrots with the honey mixture until the carrots are well coated. Spread them out evenly onto the baking sheet. Remove from the oven and sprinkle with a dash of salt. This recipe only has 3 ingredients and is ready in 30 minutes. Try these instead of serving raw carrots on your next veggie tray.